The SB>1 Defiant helicopter being jointly developed by Sikorsky and Boeing has completed its first flight. 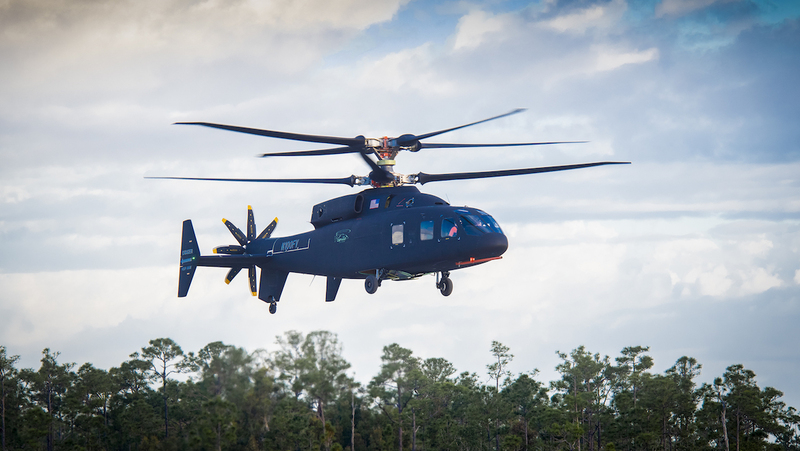 Boeing and Lockheed Martin (the parent company of Sikorsky) said in a joint statement the first flight occurred at Sikorsky’s West Palm Beach facility on Thursday March 21 (US time). Sikorsky future vertical lift president Dan Spoor said the flight went well. “We are thrilled with the results of today’s flight and look forward to an exciting flight test program,” Spoor said in the statement. Flight tests for the helicopter program were previously due to begin before the end of calendar 2018. However, that was delayed to 2019 after faults were discovered during ground testing, the companies announced in December. The SB>1 was eventually rolled out at West Palm Beach in early January 2019. The Defiant is a joint Sikorsky-Boeing proposal for the US Army’s Joint Multi-Role Technology Demonstrator program which aims to replace the UH-60L/M Black Hawk from the late 2020s. It will be evaluated alongside the Bell’s V-280 Valor tiltrotor, which has been flying since late 2017. Based on Sikorsky’s successful X2 testbed and S-97 Raider attack helicopter proposal, the SB>1 features counter-rotating coaxial main rotors and a pusher propeller which provide a 60 per cent speed and range increase and 50 per cent better hot-and-high hover performance over the Black Hawk. 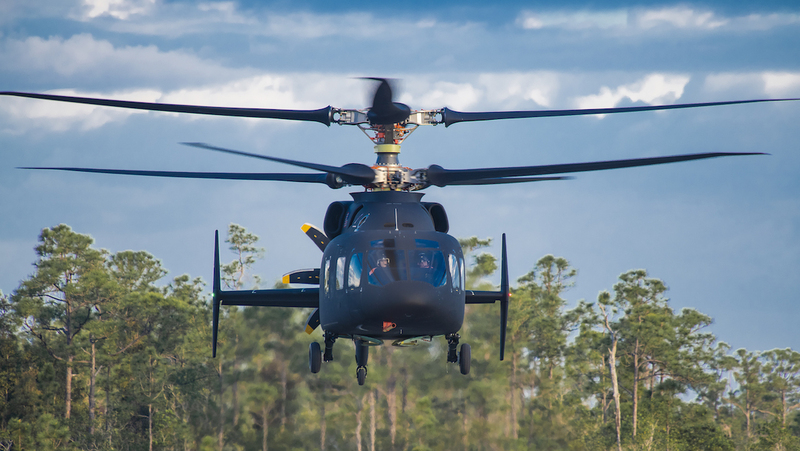 “This flight marks a key milestone for the Sikorsky-Boeing team and is the culmination of significant design, simulation and test activity to further demonstrate the capability of the X2 Technology,” the companies’ joint statement said. VIDEO: The first flight of the Sikorsky-Boeing SB>1 Defiant from the SB1 Defiant YouTube channel.